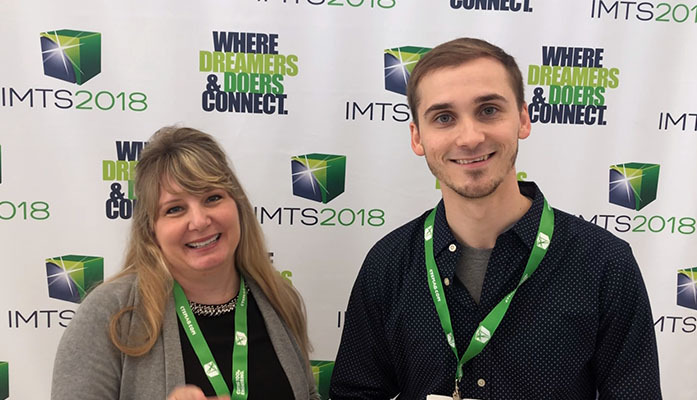 More than 2,500 companies brought their latest and greatest in technology to the Windy City where Dave, Erin, and Jeff attended to learn about the latest trends! The International Manufacturing Technology Show (IMTS) last week displayed dazzling, smart manufacturing technology, like an autonomous trolley seen at the show. Erin and Jeff share their insights at IMTS! Our Aviation + Industrial studio constantly seeks the latest trends in technology to helps clients take flight. To learn more, visit our portfolio.